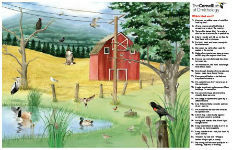 Get a free Bird ID Poster from Cornell Lab of Ornithology. Fill out the form to request your own poster. Please allow 4 to 6 weeks for delivery.